For those obsessed with obscene megapixel counts and Windows Phone, Thursday can't come soon enough. If rumors prove true, the renders shown above will be made official in around 72 hours, with the Lumia 1020 to debut in a flurry of hues -- yellow, black and white, specifically. Moreover, Windows Phone Central is reporting that the device previously known as EOS will ship with optical image stabilization built right in, 2GB of RAM (a boost from the 1GB found on most modern WP8 handsets) and 32GB of internal storage. Head on down to the source link for more... you know, given that waiting for the formal word isn't something you're prone to do. 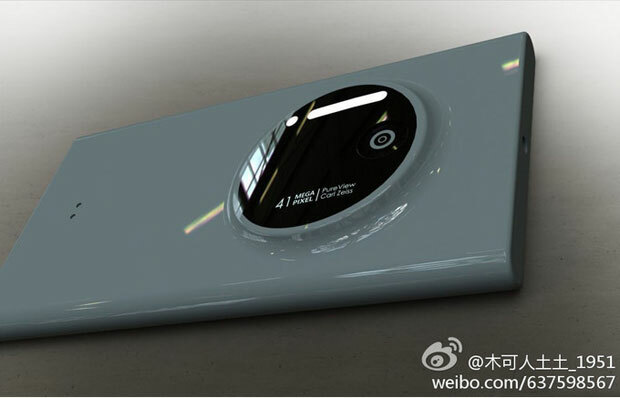 Update: According to a leaked (slightly sketchy) image on Weibo, it looks like the white iteration might be glossy, rather than the matte finish seen on the Lumia 925. We've added it after the break.